NEW - June '98 Life Magazine article on PSI TECH. NEW - PSI TECH's Video page. Now including UPN News' latest story on PSI TECH with a live TRV demonstration. For TRV Home Study Course Technical Support, please enter our bulletin board here. 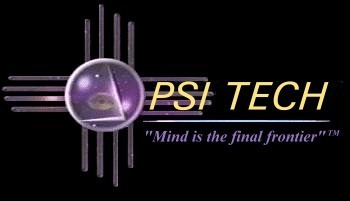 To place a new order for PSI TECH's Technical Remote Viewing Home Training Tapes, Please call 1-888-878-0333. For all other inquiries - contact the PSI TECH office at 1-888-TRV-0333 (1-888-878-0333). In Los Angeles please call (310) 657-9829.